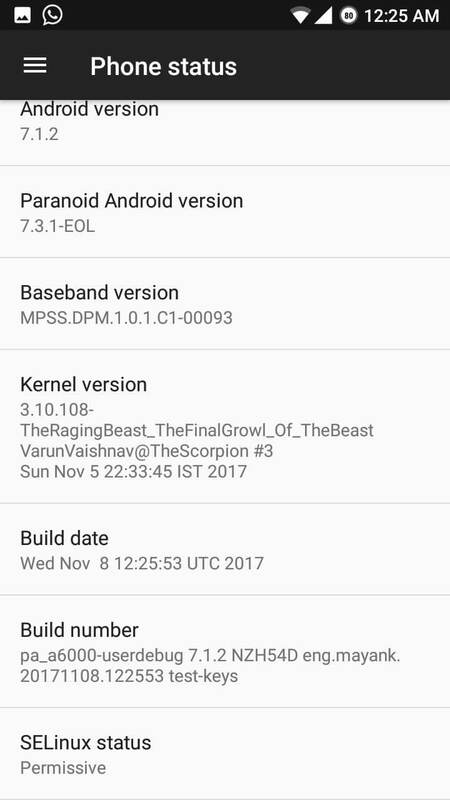 Paranoid Android Custom ROM is one of the lightest custom ROMs for Android devices which includes only the basic necessities for running it. 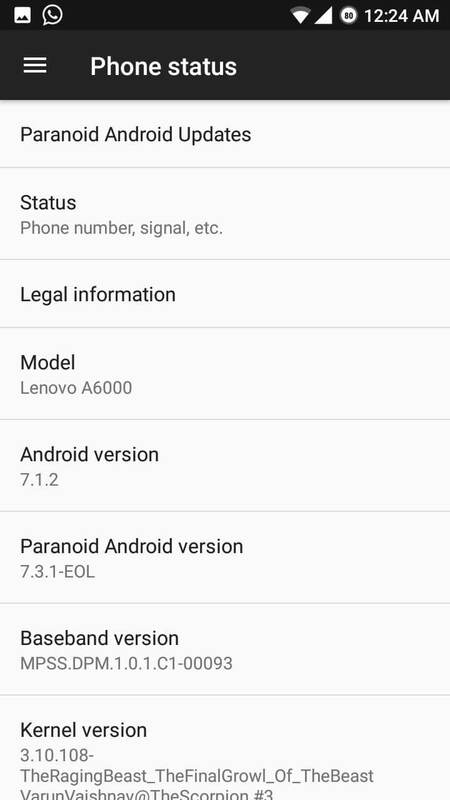 Lenovo A6000 Paranoid Android ROM is very smooth and fast which has no bloatware in it. Just Wipe Data/Dalvik and Partition, flash the ROM and reboot it. Explore more and let us know how you feel and please report the bugs if you find any, we’d be glad to know. 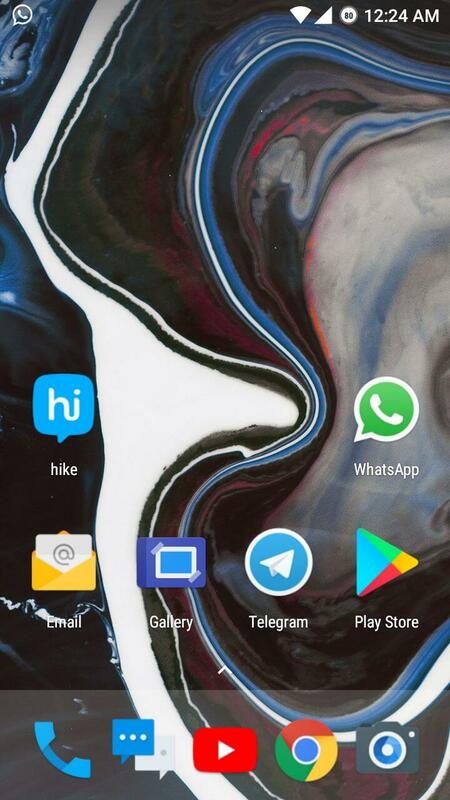 Pie – One of the key feature of the Paranoid Android operating system for Android which brings a new type of navigation bar at the bottom of the screen. Color Engine – The color engine redefines the color of the device to be in Light, Dark and Black modes which helps you choose them according to the time of the day or night. Pocket Lock – One of the best features that helps you prevent any form of accidental touch when you keep your smartphone in your pocket. Accidental Touch – This feature is helpful for gamers who can prevent any sort of accidental touch on the hardware buttons while the touchscreen is being used. You can seamlessly experience your game, browse the web, watch videos without the worry of accidental touch. This rom is fast and smooth??? How is high gaming isnt smooth? Please , the rom author is Stuep Dec , he port this rom for hard working. are there any bugs in it admin ?? Copy/move apps to sd card dont work.